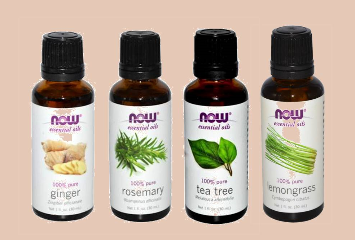 Essential Oils extracted from plants have been used as hair and skin treatments for centuries. Each plant oil serves specific purposes for healing and balancing all areas of the body. Our Mattify! Cosmetic’s Essential Oil Treatments combine some of the most effective ingredients known for combating problems with oily skin & hair. These 100% natural Essential Oil formulas target the source of over-zealous sebaceous glands within pores, without causing dryness. Simply add 1 vial to your favorite shampoo or face wash, to encourage balanced oil production. ​These 4 ingredients target sebaceous glands, encouraging them to slow oil production. Add this blend to any shampoo to decrease scalp oiliness, unclog hair follicles, increase circulation, and remove product build-up. Add 1 vial to any 10-14 oz shampoo bottle & shake to mix. Work into a lather, focusing on scalp, & allow to sit on hair for 1 minute before rinsing . ​When hair follicles clog with sebum and dead skin, hair growth becomes sluggish. 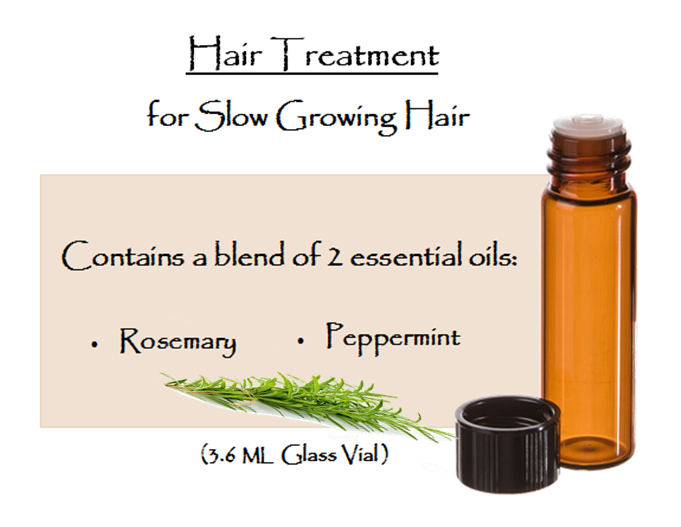 This refreshing blend unclogs follicles and encourages circulation. Add this blend to any shampoo to slow oil production, encourage faster hair growth, remove dandruff, and calm flyaways. ​These 5 specialized ingredients slow sebum production and disinfect pores, killing acne bacteria. Can be used daily on any area of the body prone to oiliness or breakouts. Add this blend to your favorite gel or cream face wash to amp up its oil control powers! Add 1 vial to your current 6-8 oz face cleanser & shake to mix. Dampen face with warm water, and apply the cleanser in circular motions. Allow product to sit on skin for 30 seconds to 1 minute, avoiding eyes. Tip: To increase product’s ability to absorb into pores, apply using one of our Exfoliating Gloves. When dead cells are allowed to accumulate on the skin, they combine with oil and makeup to clog pores. If pores are embedded with this debris, skin care products can't penetrate - creating a breeding ground for acne bacteria and inflammation. 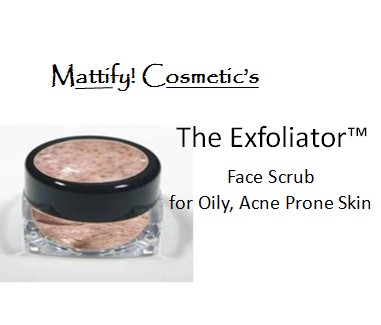 Use our exfoliating products below to remove these pore plugs and give your skin a fresh start! This glove works wonderfully to apply any type of face wash.
& to purchase the full-size XL Jar. This apricot & bamboo husk scrub removes dull, dead skin cells that can trap oil & bacteria inside of pores. Especially useful for flaky patches around acne breakouts! Scrub using circular motions & rinse well. Follow with your favorite face wash, for renewed baby-soft skin. A complete set of products to pamper your oily skin & acne prone skin. 1) Dampen skin with warm water and apply The Exfoliator using circular motions, to remove any dead skin cells and release pore plugs. 2) Pour the vial of Skin Treatment for Oily Skin & Acne into your favorite container of face wash & shake to activate. Apply the face wash and allow to sit on skin for up to 1 minute. Rinse & dry thoroughly. 3) Spot treat breakouts using the Stop Zit Natural Acne Treatment Roller. Allow to dry. 4) Apply a thin layer of our Gel Moisturizer & allow to absorb into skin before proceeding to foundation application.